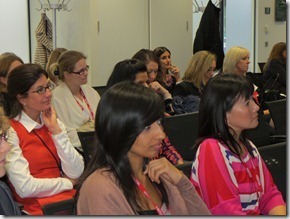 The Connecting Women in Technology initiative has now completed a complete cycle with events held at every member company. We have completed our first cycle and are delighted to be on the first event of our second cycle. We’ve updated our logo, are organised and we have a great framework that we now use for each meeting. Our Ninth meeting, or the first meeting of our second cycle we returned again to IBM, this time to the customer centre on the Southbank in London. 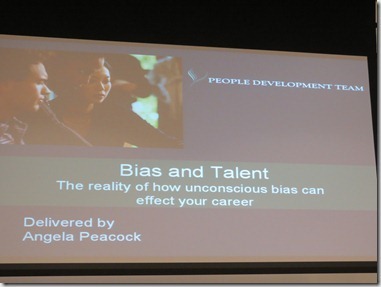 The theme for this event was: Gender Balance – the Reality! As at every event, we collect feedback from the attendees and use this to guide our future sessions. We encourage everyone to be the best that they can be. All of us in the CWT project team hope that our sessions give folks a chance to find the support they need to build their networks and grow their career. Here is a selection of feedback we received from the event. “Good to take the time out of work to reflect on things I can do to become a stronger female professional”. “Meeting with other experienced professional women and little tips to get myself heard without being pushy. Very inspiring”. “It was my first event and I really enjoyed it – it is really hard to make time to come to these things, I am so glad I did”.